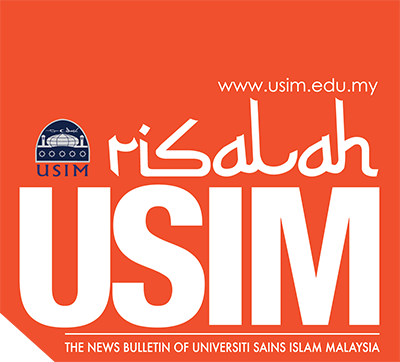 NILAI, Jan 2, 2019 – The academic group from Universiti Sains Islam Malaysia (USIM) Communication Program (USIM) is assisting the National Dakwah Council (MDN) to enhance the understanding of Muslims on the crisis faced by them from inside and outside the country through writing in the media. According to MDN Chairman, Prof Emeritus Dato Dr Mahmood Zuhdi Ab Majid, spreading real facts in the media is necessary to increase understanding and reading among the public. What is more important is to identify groups that trigger conflict and crisis among Muslims, through viral cases in the media. “The influence of media can indirectly enhance the functions of MDN and Muslims can appreciate the existence of MDNs to obtain information on issues of Muslims,” ​​he said. According to him, MDN took the first initiative to hold a roundtable conference to discuss the crisis of Muslims inside and outside the country as there were parties questioning why MDN took a silent attitude and did not comment on the issues that occurred in relation to Muslims lately. In addition, Associate Professor Dr Mohd Irwan Subri from USIM proposed, efforts taken to address the crisis of Muslims in the world where the Islamic wave needs to be improved by setting up action plans such as gathering all Islamic organizations and NGOs locally and overseas and being the representative to speak internationally. “We need to list issues related to Muslims throughout Asia and see the stand of their respective countries, especially Malaysia, to collect collective information to respond more quickly to issues related to Muslims and to external Islamic movements to change the negative perception of Muslims “, Dr.Irwan added. Meanwhile, Professor Dato ‘Dr. Ibrahim Ahmad Bajunid pointed out that among the most basic approaches to resolving the crisis among Muslims is for every individual to return to a true Islamic philosophy, and this includes in everyday life including in organizational affairs. This, he added, will allow Muslims to regain strength because every decision and action taken is in line with Islamic teachings, as well as positioning Muslims on the right track. Participating in this conference was the top intellectual group of senior professors of the Public University (UA), the Strategic Planning Group and the Media and Publicity Group which comprised of lecturers from New Media and Communication Program. The National Da’wah Council (MDN) is a special body under the auspices of Yayasan Da’wah Islamiah Foundation Malaysia (YADIM) established in October 2013. Until now, the MDN is supported by many local leaders, scholars, asatizah, professionals and corporate and various other parties comprising of various backgrounds of profession.